“Commune” is a pretty big word. What with all its Jonestown massacre undertones and joint-biodegrading-in-dreadlock mythologies. But hit dictionary.com and you’ll find its true definition is not so bad. 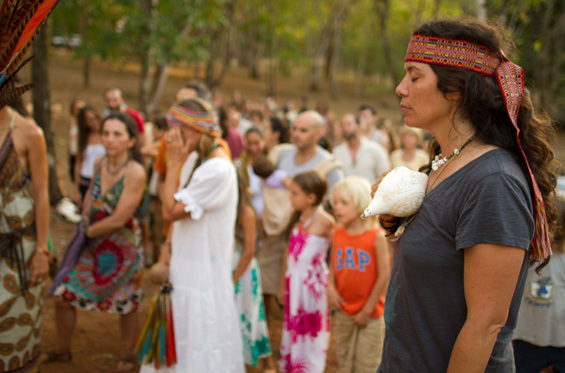 PachaMama, found in a valley on the northwest coast of Costa Rica, is a commune. And a pretty great one at that. If you’ve ever been tantalised by the concept of running into the wild, hair braided, clothes off and iPhone tossed behind you, this is the place to do it. Describing itself as an oasis where you can “dive into a transformative spiritual voyage, rejuvenate the body, connect with nature and celebrate life”, the ideals and practices of PachaMama are clearly not for the Gucci at heart. But for the more yogic folk, this could very well be the way of the future. A new life at the end of a manila folder clad tunnel. Or at the very least, a lovely two week holiday.